Few historians have considered the visual sources that survive and what they tell us about the link between images and empire, pictures and power. This book draws on the unrivalled riches of theBritish Library--both visual and textual--to tell that history. It weaves together the story of individual images, their creators, and the people and events they depict. 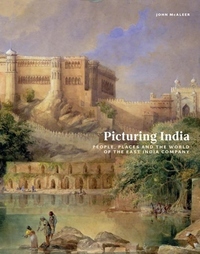 And, in doing so, it presents a detailed picture of the Company and its complex relationship with India, its people and cultures.